My friends making Roosting Robin quilts commented this week that their quilts have gone on the back burner. Why? Because it's a quilt for them! So true - mine has also been relegated to the bottom-of-the-heap status as I worked on new ideas. Yesterday I decided to get back to quilting something for me for a few minutes. The result was this orange heart on a string block for my Roosting Robin quilt. I still have 7 to go! I used my Selvage Heart on a String tutorial. She interviewed Lindsay of Hawthorne Threads. You can listen to it here. Heather at The Sewing Loft has been talking about selvages lately. 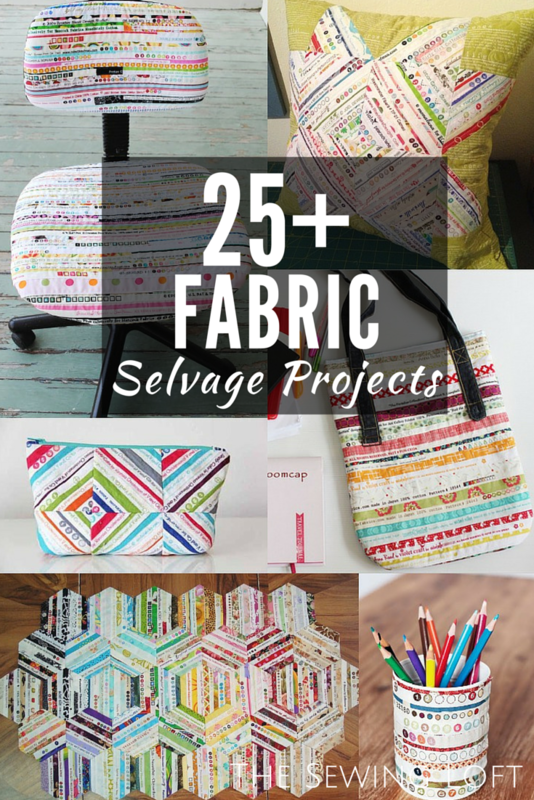 She posted a linkup for 25 selvage projects here. Quilts of a Feather is hosting a Selvage Sewalong right now. One of the tutorials is for making the Anna Maria Horner feather with selvages. I have a Selvage Projects board at Pinterest with even more ideas of how to play with your selvages. Have you made anything with selvages lately? Let me know in the comments. I'm always on the lookout for holiday themed projects to make with my selvages. 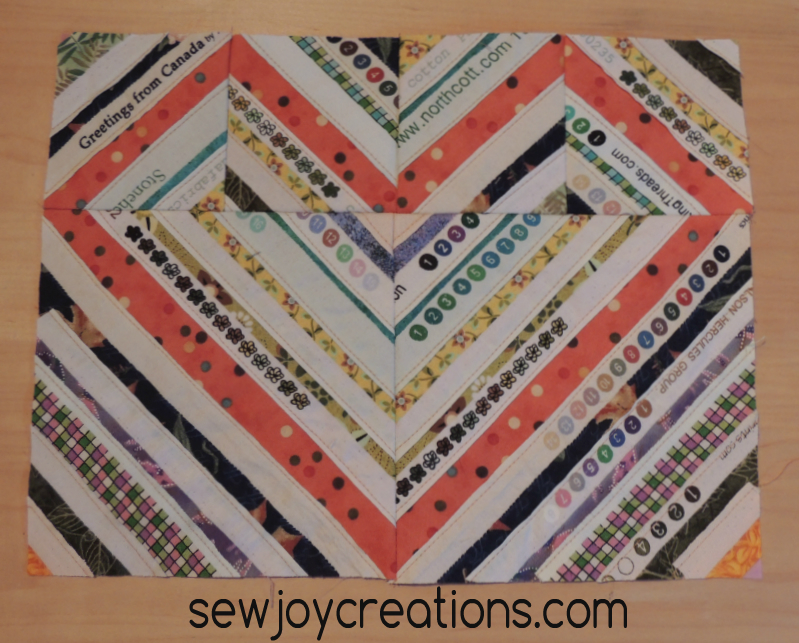 I hope you can SELVAGE some time to QUILT today! p.s. 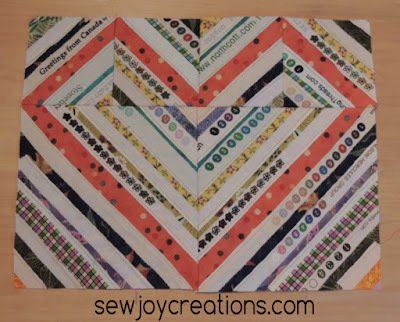 My Harvest JOY quilt along is starting soon. We're starting with a wallhanging. Fabric Requirements were posted yesterday here. Join us!